FOR INFORMATION OR RESERVATIONS, PLEASE CALL 541-432-9821. Please note that Cabins are available all year! Lodge Rooms are seasonal and available only May 24 through September 28, 2019. 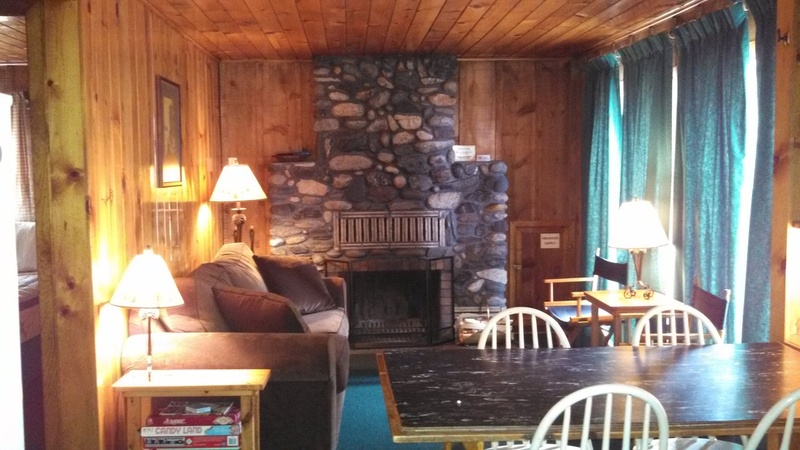 The Lodge is available for groups and special events all year. Please call for information. The Lodge is located in the Wallowa Whitman National Forest where you can expect to observe wildlife natural to the area. Situated in a beautiful and remote area, we are committed to your quiet, relaxed and comfortable stay … free from telephones, elevators, television and air conditioning. Wi-Fi is available for your convenience. Pets are not allowed in the Lodge, cabins or on the entire grounds. There will be a $500 cleaning and deodorizing fee in the event of smoking in a room or cabin, or discovery of a pet. 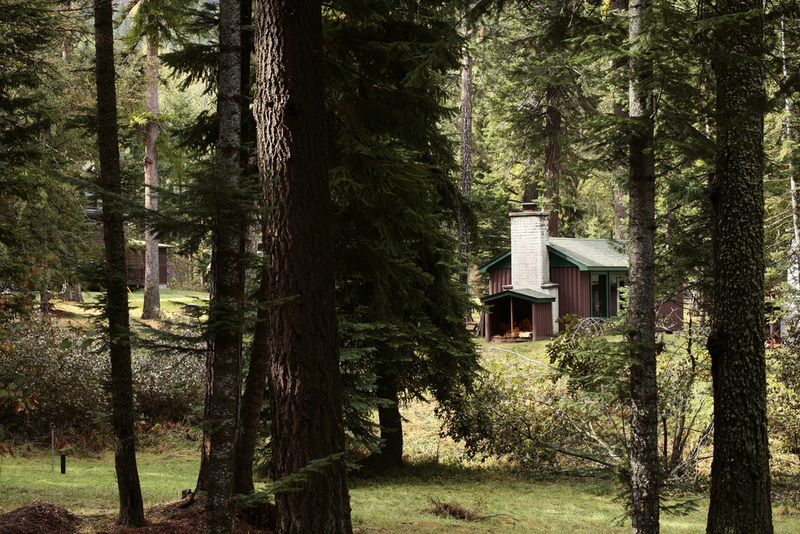 The three one-bedroom cabins—Alder, Tamarack and Fir—are set in the lawn between the lodge and the lake, where deer roam daily under the tall firs and pines. Fir cabin has a view towards the lake; the others are set behind it. Four two-bedroom cabins—Spruce, Pinecone, Lodgepole and Sumac—and one “honeymoon” studio cabin, Sugar—are closer to the road but each has either a view towards the lake or spring-fed wetlands. Cabins are available all year. Daily housekeeping services are provided for all cabins during the summer season. Click Here to view a downloadable PDF of Lodge occupancy information. Cancellation Policy: If you cancel your reservation less than 48 hours prior to arrival, there will be a $25 cancellation fee. There are no refunds for early departures, late arrivals, no shows or inclement weather. Click Here to view a downloadable PDF of cabin locations and the Lodge room layout.